Scouting has played an important role in the lives of young people in the Milwaukee area since the national movement began in the early twentieth century. Viewing scouting as a vehicle to teach skills and instill values, a variety of local organizations, including schools, churches, synagogues, civic groups, and firehouses have sponsored scout “troops.” Most of these troops have been affiliated with national scouting organizations, including the Boy Scouts of America (BSA), the Girl Scouts of the United States of America (GSUSA), and, from 1931 to 1939, the scouts of the Polish National Alliance (PNA). The Milwaukee County Council of the BSA (MCC-BSA) was established in 1915, merely five years after the founding of the national organization. In 1917 this council founded the Indian Mound Scout Reservation in Oconomowoc, Wisconsin. Still used by local BSA troops, this facility is one of the oldest scout camps in the country. Early Milwaukee Boy Scouts participated in a variety of civic and service activities, often earning merit badges and other awards for the completion of programs designed to develop athleticism, skills, and leadership. 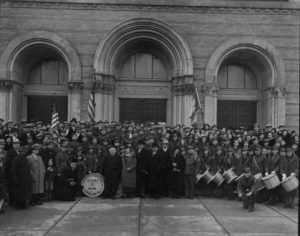 In the 1930s, Polish youth in Milwaukee participated in a short-lived scouting experiment sponsored by the Polish National Alliance (PNA). 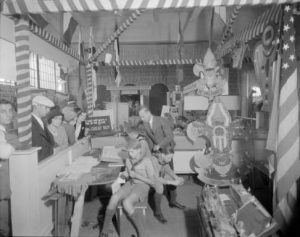 Beginning in 1931, the PNA organized Harcerstwo (scouts) in several cities to promote Polish culture and pride in American-born children. In 1939 the Milwaukee PNA opened a Harcerstwo summer camp in CUDAHY, serving scouts from Milwaukee and Chicago. Milwaukee’s Francis X. Swietlik, Grand Censor of the PNA, led an unsuccessful drive in 1935 to affiliate the Harcerstwo with the BSA. 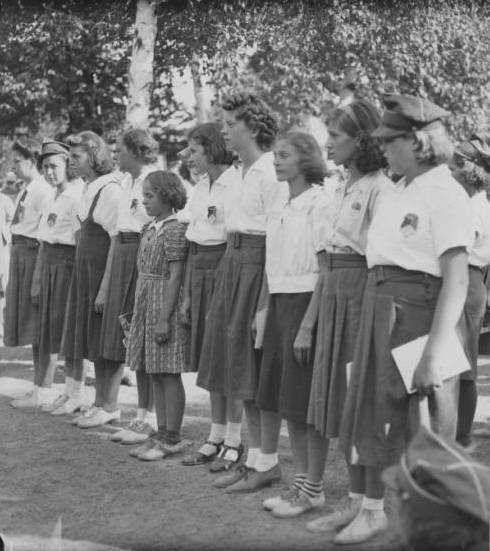 A legal dispute with the BSA pushed the PNA to disband its scout troops in 1939. Membership in MCC-BSA grew tremendously during the mid-twentieth century. By 1968 the number of boy scouts grew from just over 200 to nearly 25,000. Guided by the BSA claim, “Scouting is for all boys,” in the last third of the twentieth century the MCC-BSA reached out to Milwaukee’s growing African-American and Latino communities, as well as to youth with disabilities. They organized troops in non-white neighborhoods and offered their facilities and programs to non-Scouts and non-Scout groups. 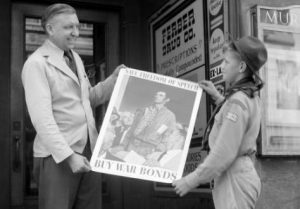 Milwaukee leaders’ commitment to inclusiveness was tested when scouts and scouting advocates first began challenging the BSA ban on gay scouts and troop leaders in the late twentieth century. When in May 2013 the national BSA membership decided to reverse its ban on gay scouts, members of the Three Harbors Council (formerly the MCC-BSA) supported this decision by a four-to-one ratio. ^ Milwaukee County Council, Boy Scouts of America, The Yearbook (1918), Milwaukee Public Library, Milwaukee. ^ Milwaukee County Council, Boy Scouts of America, The Yearbook (1918), Milwaukee Public Library, Milwaukee; David L. Eby, “America’s Oldest Boy Scout Camps,” US Scouting Service Project, accessed October 30, 2013. ^ “Milwaukee Boy Scouts to Observe Anniversary With Week Program,” The Milwaukee Sentinel, February 6, 1942; Milwaukee County Council, Boy Scouts of America, The Yearbook (1918), Milwaukee Public Library, Milwaukee. ^ Donald E. Pienkos, PNA Centennial History of the Polish National Alliance of the United States of America, (Boulder: East European Monographs, 1984), 231-234. ^ “Polish Alliance Will Open Summer Camp July 2,” The Milwaukee Journal, June 16, 1939. ^ “Polish Alliance, Scouts May Join,” The Milwaukee Journal, June 13, 1935; “40,000 Polish Boys to Join Boy Scout Group,” The Milwaukee Sentinel, June 13, 1935. ^ Pienkos, PNA Centennial History, 231-234. ^ Milwaukee County Council, Boy Scouts of America, The Yearbook (1918), Milwaukee Public Library, Milwaukee; Milwaukee County Council, Boy Scouts of America, 1968 Annual Report, Milwaukee Public Library, Milwaukee. ^ Milwaukee County Council, Boy Scouts of America, “Wheel Chair Camping,” Scouters Compass [newsletter of the MCC-BSA] 14, no. 9 (1973), Milwaukee Public Library, Milwaukee; Milwaukee County Council, Boy Scouts of America, 1968 Annual Report, Milwaukee Public Library, Milwaukee. ^ Correspondence from Emerson D. James, Assistant Director of Urban Relations at the National Council of the Boy Scouts of America to Wesley L. Scott, Executive Director of the Milwaukee Urban League, February 6, 1967, Box 5, Folder 29, Milwaukee Urban League Records, 1919-1979, University of Wisconsin-Milwaukee Archives, Milwaukee; Wesley L. Scott’s copy of Program Guidelines, 1967 Urban Relations Workshop, April 3, 1967, Box 5, Folder 29, Milwaukee Urban League Records, 1919-1979, University of Wisconsin-Milwaukee Archives, Milwaukee; Milwaukee County Council, Boy Scouts of America, 1968 Annual Report, Milwaukee Public Library, Milwaukee; Milwaukee County Council, Boy Scouts of America, 1973 Annual Report, Milwaukee Public Library, Milwaukee. ^ Lydia Mulvany, “Most in Milwaukee-area Delegation Voted to End Scouts’ Gay Ban,” The Milwaukee Journal Sentinel, May 24, 2013. ^ “Girl Scout Group to Go Back to Real Nature,” The Milwaukee Journal, June 16, 1937; “Society Folk Lend Aid to Camp Alice Chester,” The Milwaukee Journal, July 24, 1932. ^ Girl Scouts of Milwaukee Area, Inc., 1990 Annual Report, Milwaukee Public Library, Milwaukee; Girl Scouts of Milwaukee Area, Inc., 1991 Annual Report, Milwaukee Public Library, Milwaukee.